P.S. 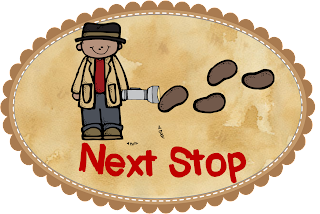 -- Thanks to Becca of First Grade in Foxwell Forest for the cute logo! I love seeing awesome classroom DIY, especially when it helps the classroom be better organized and make students less distracted! When I read about Erica's DIY project to cover her storage space, I was blown away and asked if she would share more about it here in a guest post. Hey all! I am really excited to be taking a quick break from Mrs. V's Grade Threes to come on over for a guest post about my sliding bulletin board project from this summer. This is my second year in my current classroom and last year I had such a hard time managing all my storage space. I know I know - What teacher complains about storage space? The problem I have is my tendency to simply pile stuff wherever it fits which left me with a bunch of shelves that were a pretty far cry from being organized. I may not be the world's greatest organizer but I do like to have my work space as neat and tidy as possible. So I came up with a plan to cover the shelves in bulletin boards but of course I didn't want to lose the storage. 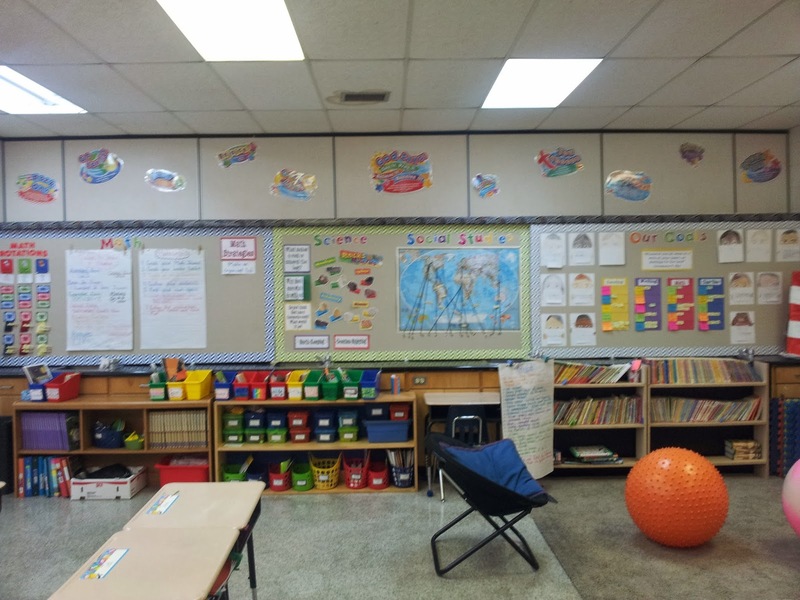 The solution was fairly simple since I had seen sliding bulletin boards in a few newer schools and thought it was a great idea. Of course I don't have a budget to match that of a newly built school so I had to think a little outside the box. After a little creative thinking and some physical labour I figured out a way to do it and I am super happy with the results! Putting them together took a little bit of trial and error but now that I have them up I am in love with them. There are still a few glitches - one of the boards could be trimmed since it rubs against the counter which makes it hard to move - but overall they are serving their purpose beautifully. Having the counter was really important since it gave me a place to put the guide-tracks which keeps everything in its place and prevents the boards from being able to swing away from the cabinets. I am not sure if it would work as well in other situations but hey you never know until you try. #1 - I used the 2" x 6" boards to create an overhanging ledge where I could attach the sliding door. I attached one of the tracks (I had to use 3 8-foot tracks for my boards) to the board so I could make sure the edges were flush and the track would fit fairly tight to the cabinetry. #2 - Once all the boards were in place I installed the closet door tracks by following the instructions in the box. #3 - My donacona boards were slightly too tall (I needed to shave off about an inch) so I whipped out a saw and trimmed em down. It's a really soft material and the saw cut through it like butter. #4 - The hardest part of all of it was attaching the sliding door hardware (the little wheely bits that slide in the tracks) to the boards. As I mentioned before the boards are made of a pretty soft material so I had to find a way to anchor the screws in. This is where the metal J-trim comes in. I cut the J-trim into 3-inch pieces using metal cutters so I could use it as an anchor for the hardware. 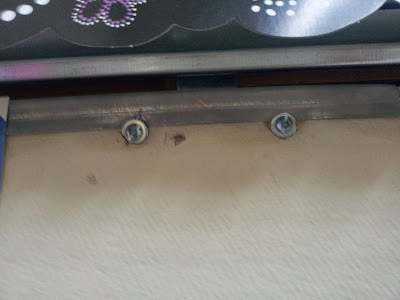 Wherever I attached a slider I first put a piece of the J-trim so that when I put a nut and bolt through the hardware to attach it to the board it was going through a piece of metal. The screws would break out of the donacona board pretty easily. The picture isn't super clear but hopefully it helps. #5 - Carefully put the boards into the sliding tracks. In my case I couldn't angle the boards in from top to bottom since the sink faucets were in the way. We had to leave one of the sliding tracks off, put the boards on and then attach the final piece of track. I believe teachers know best what they need from their classroom space and unfortunately not every classroom is built to order. 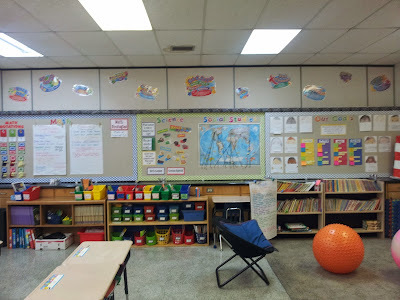 I loved all the storage in my room but didn't have any space to display anchor charts or student work. Lucky for me I have an administrator who gives me the chance to try some DIY projects and when they work out like this it is even better! I love having the extra wall space in my room to display student work, curricular content, and anchor charts among other things. Yes the boards are far from perfect but they have made my classroom more functional, more organized, and generally improve the overall feel of the room. Wasn't this an AMAZING project to DIY in her classroom? In my new position this year as a reading specialist, I am sometimes amazed to see 2nd graders through 6th graders struggling with the same skills! One big skill that my kids need work with is finding textual evidence to support their answers to basic reading comprehension questions. My kids are bringing in schema and making connections, but they struggle to tie their answers back to the text, which is such an important skill! Now that Common Core has brought an extra emphasis to text evidence, our teachers are really focusing on giving students structured practice defending their answers in the text. Of course, we eventually want students using clues from the text to infer, analyze, evaluate, and draw conclusions, but many of my students are still struggling with the basics of finding the direct, explicitly stated evidence in the text- so I created this Color-Coding Text Evidence mini-pack. After trying these out with my students this week, I would LOVE to know what you think- and if they work well for you, monthly sets for the whole year (or bundles!) can be downloaded in my TpT store! If you’re new here, welcome! 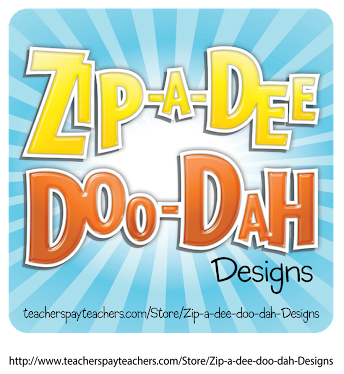 You may want to read a little about me, check out my free customizable lesson plans, view some new teacher tips, or find a few more freebies! 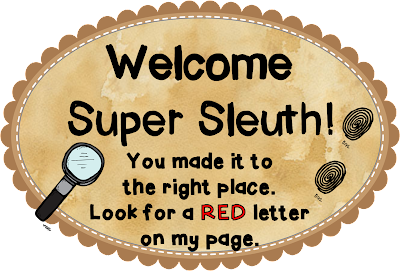 I’m a 2nd/ 3rd grade teacher turned reading specialist for grades 2-6 who LOVES integrating science and social studies into my teaching- and blogging to share ideas! You can also find my email, Facebook page, TeachersPayTeachers store, and more on the top right section of the blog. 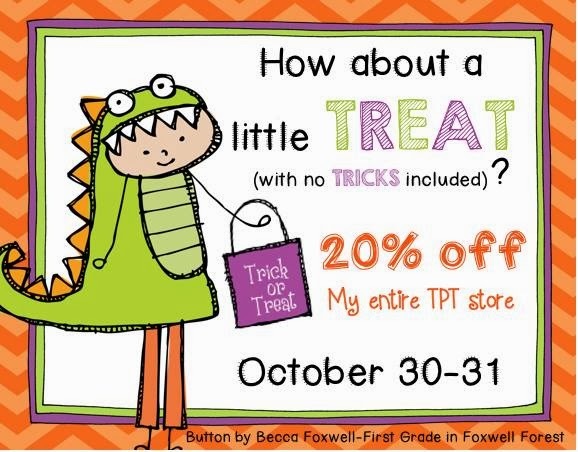 I hope this freebie helps you and your students! 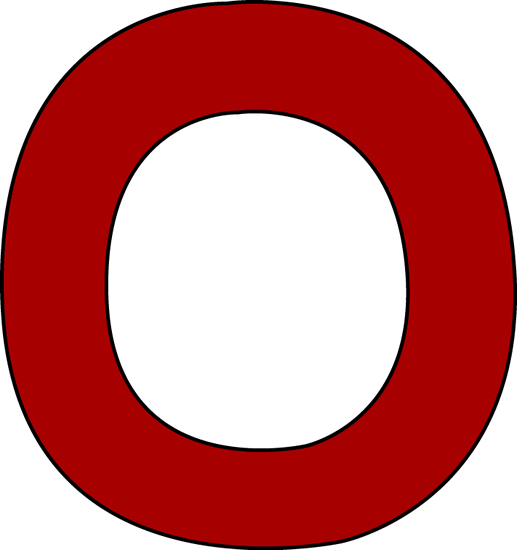 One- I'm featured today over at Principal Principles! If you haven't checked out Stephanie's blog, I absolutely recommend it. I'm a little jealous of the teachers in her school-- how great is it that they have a principal who blogs and specifically looks for ways to feature the great teaching she sees within her walls (and outside of them, too)? She shares a wealth of great ideas that you can take back to your classroom right away, so be sure to check out Principal Principles! Two- this weekend I'll be participating in a blog hop with 27 other reading specialists and literacy coaches- and we'll EACH have a freebie for you, plus a chance to win prizes! I'm so excited to pick up new reading resources-- only 3 days left! I hope you stop by! 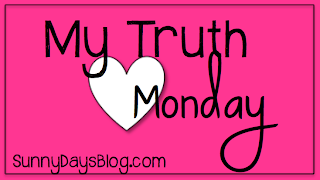 My Truth Monday- and a Motivation Freebie! Today I want to get a little more personal. A few months ago, I tried MyFitnessPal for tracking my food and it really helped motivate me to eat better and get more active. I wanted to do it right-- gradual, and still enjoying my favorite foods but in moderation, so that I'd stick with it! The last few weeks, I've been trying to get back on track with some other teacher friends.So when Denise started a new Monday blog post party, I had to join! I'm tracking my food again, I'm trying to get a little more exercise, and I'm headed back in the right direction! It's been tough, though, to get my body back to where I know it really should be to be healthy. I've always had curves, so I'm not trying to lose those- but I want to feel good in my body again, you know? I have been really working at working out more, drinking more water, and tracking my meals- but I need to start using what I know about myself and join something that I will really enjoy! I also needed a little motivation, so I worked on making this that I can print out. It will work for your personal goals OR for in your classroom. You can pick up a free copy of the black and white or color version by visiting my Facebook page. (Of course, it won’t have the watermark going across the middle.) Thank you so much for following my blog! Want to share your truth? You can link up with Denise at Sunny Days in Second Grade or share in the comments. Hope you have a GREAT week! The Perfect Book to Teach Asking Questions! Okay, I have a new favorite reading lesson-- my asking questions lesson! Asking questions before reading gives them a purpose for reading and gets them engaged. When they are looking for the answer, students read more intently. Asking questions during reading makes sure they are thinking about what they read. Asking questions after reading causes them to be reflective about the author's choices and sometimes helps them draw a personal opinion about the text. Asking questions is a great place to start students’ thinking while reading! I love teaching questioning towards the beginning of the year, because this is a gateway skill to deeper comprehension. Asking questions about the text isn't too hard to do (especially with a well-chosen text! ), so it helps to build the habit of thinking as they read. It's also a great way to get students started in their reading response journals because it's a pretty clear-cut type of response that most of my students feel confident trying. I used this book with my 2nd grade group and all the way up to my 5th grade group. It's great for teaching this skill because the title and cover instantly intrigue them. Kids wonder, "Whose hat is it?" and "Why is a fish wearing a hat?" I tell them we are going to look for the answers to our questions as we read, and we start the read-aloud. Of course, the chart I made for my partner turned out even better. (Isn't that always how it works?) She actually laminated it so she can use it again sometime (which is such a great idea, especially for us as reading specialists who might teach a version of this lesson to each grade level!). This book also makes a great review for "the three ways to read a book," or using the pictures as readers to help us understand. (Actually, you could use this book to teach that lesson, too, but I just used it as a review.) The book is being told from the little fish's point of view, and so the text only tells us so much. If students don't read the pictures, they won't know the entire plot- and they won't enjoy the book nearly as much! (Here, the text tells us that little fish doesn't think the crab will tell anyone where he went... but the illustration tells us that the crab does tell!) The younger kids, especially, love "catching" the discrepancies between the text and the pictures. The next day during another mini-lesson, I read aloud a different book (usually tailored more towards the group's grade level) and let students practice asking their own questions along the way in their reader's response journals. Eve Bunting's books tend to work really well for Asking Questions lessons (like The Wednesday Surprise), but I also love The Lotus Seed and Chicken Sunday for teaching asking questions. And don't forget to throw in a non-fiction book-- sometimes these are the most important ones in which students need to use the comprehension strategy of "ask questions!" Once we've practiced as a whole group and shared with our reading partners, I'm able to look through their notebooks and make sure they seem like they're getting it. (Glancing through their reading notebooks- even if you don't take a grade yet- is so important, because this is the perfect time to lead a strategy group for those students who need some extra support). From here, I like to let students use Post-It notes to practice this strategy in whatever they're reading independently. I also try to fit in a little time at the computer lab (or at a computer center) using the amazing site Into The Book. If you haven't used this free site, you are missing out! For each reading comprehension skill, there are videos, a song, and an in practice activity. Usually, there are at least two, so you can do one together (especially if you have a SmartBoard or something similar) and have students complete the other independently. Their questioning lesson is a great way to guide student practice of using this strategy to actually help them comprehend. Share your tips in the comments below or on my Facebook page here! I would love to know your favorite books for teaching kids to ask questions and what other strategies you use.